Samsung have launched what they claim is the world’s first Bluetooth HDTV. Samsung like claiming world’s first, and by bolting Bluetooth onto an HDTV, it’s a claim that they can make loud and clear, as it’s not an obvious addition to your usually wired TV. More details and pictures of the Samsung Cannes SPD-50P91FHD HDTV (gasp!) after the jump. Despite Samsung claiming the SPD-50P91FHD as the world’s first Bluetooth HDTV, it’s not – Samsung themselves announced a few other Bluetooth HDTVs, also as part of their Cannes range of HDTVs, a while ago. Still, like I say, if Samsung can shout “world’s first”, they will, and whichever way you look at it, one of the Cannes HDTVs was the world’s first to come with Bluetooth, so we’ll let them off! 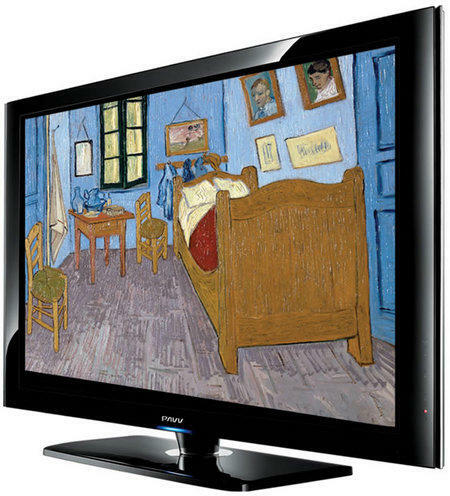 The SPD-50P91FHD is, as it’s awkward name would suggest, a 50-inch full HD (i.e. 1080p) PDP TV that features True Black and Cinema Screen mode. But enough of the usual HDTV guff. What about Bluetooth? The Samsung SPD-50P91FHD is now available in Korea for $4600.